As a Unix expert, I used to think everything is a file. Now I know better: everything is an API (or should be). 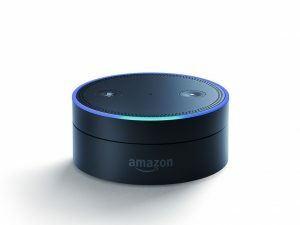 AWS took this to the max by even disclosing their prices and specifications through an API. 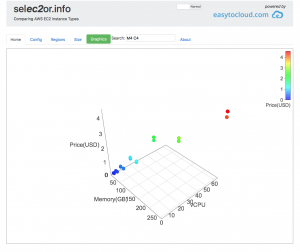 That allows us to write code that presents the EC2 specs and prices in a whole new way. We ingest the AWS specs and prices daily and store it in a bucket for future reference. When you direct your browser to http://selec2or.info you get a view on this data. Hitting the big green ‘graphics’ button changes the view. From the traditional ‘table’ view we have got used to over the last hundreds of years, to a more modern 3D graphics representation. The page your browser downloads from an S3 bucket, contains the code to do the visualisation. Another example of a serverless application on the AWS platform. And although the website is hosted as a static page in a S3 bucket, the content it shows is not static at all: when the Bombay region became available, the region appeared in our selec2or without any modification to the code. Thanks to the “Everything is an API” way of life.